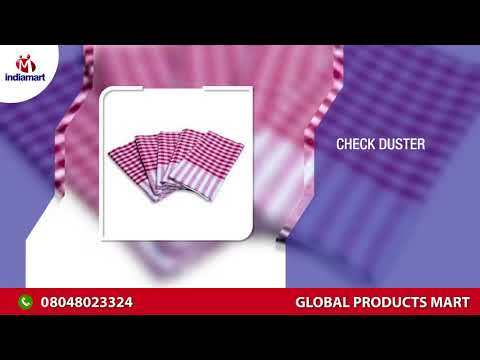 Established in the year 2014, we %u201CGlobal Products Mart%u201D are a Sole Proprietorship Firm and one of the renowned Manufacturer of an exclusive range of Duster Cloths, Cleaning Mop And Refill, Cleaning Broom and Cotton Ghamcha. Situated at Meerut, (Uttar Pradesh, India), we are backed by a well-developed infrastructural facility. Under the proficient guidance of our mentor %u201CMohammad Saqib%u201D, we have been able to attain a formidable position among our competitors.